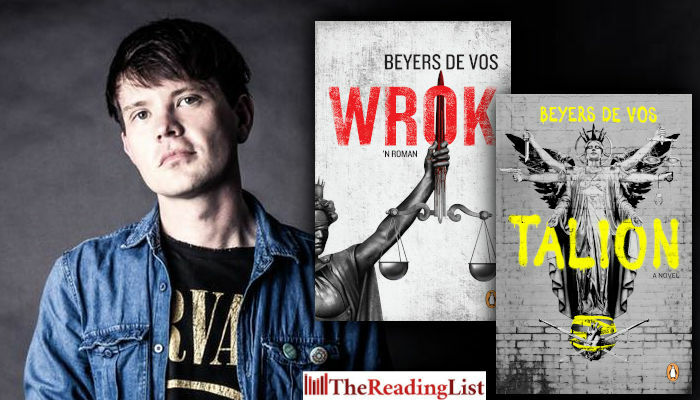 Beyers de Vos chatted to Polity SA recently about his debut novel, Talion. De Vos is a writer, editor and journalist who lives and works in Cape Town. He was prose editor for the literary journal New Contrast, and has a master’s degree in creative writing from the University of Cape Town. His debut is also available in Afrikaans, as Wrok. The novel follows the story of a young student from Pretoria named Freya, who sees her twin brother murdered in front of her. ‘I didn’t think I was going to write a crime novel,’ De Vos says, ‘but it’s interesting, if you put characters under that kind of pressure, people who have been involved in a crime, it’s a lot of a trauma, and a lot of big themes come out of that. ‘You’ve got grief, anger, revenge, loss, all of these things that place these characters under a lot of pressure. So you can write about these very big themes; it’s a kind of shortcut to talk about those things. I think that’s why it appeals to me so much.